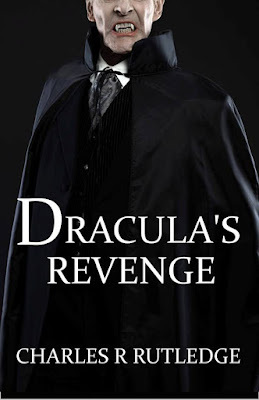 DRACULA’S REVENGE is the latest novella (more like a short novel, really) from Charles R. Rutledge to feature occult detective Carter Decamp and homicide detective Jennifer Grail, as well as the first story I’ve read with these characters. One of Jennifer’s cases involves a bizarre murder in which the victim was drained of blood. That leads to a violent encounter in the morgue with a body that’s supposed to be dead, and faced with something like that, what else is she going to do but call on her old friend Decamp for help, since he’s an expert on supernatural matters. Their investigation leads them to a small town on the Georgia coast. There’s a deserted mansion, an abandoned paper mill, a bunch of missing young women, and a guy who’s the descendant of an English couple who may have been the real people upon whom Bram Stoker based some of the characters in DRACULA. On top of that, you’ve got a mysterious giant who may be lacking the flat head and neck bolts, but he’s pretty clearly the Frankenstein monster . . .
You might not think that a blend of hardboiled police procedural and classic horror would work that well, but you’d be wrong. It works great. Rutledge takes a very interesting approach, establishing a world in which Dracula and Frankenstein are well known as fictional characters, but unknown to most, the original novels were based on actual events. As such, the monsters that show up in this yarn bear much more resemblance to their literary ancestors than they do to their movie counterparts. In addition to that intriguing angle, Rutledge provides plenty of well-done action scenes and keeps the pace moving along at a very satisfying clip. Jennifer Grail and Carter Decamp are good characters, as well, and I want to read more about them. 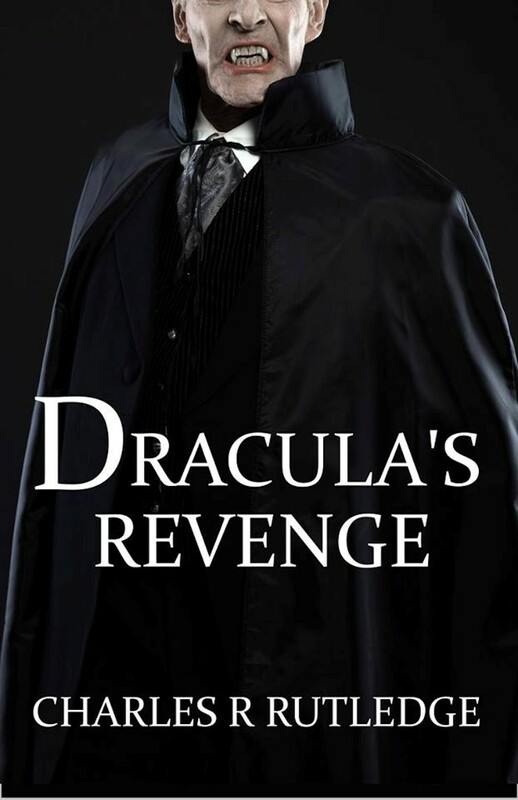 DRACULA’S REVENGE is a very entertaining tale, and I give it a high recommendation. Rutledge is worth reading. I've read several things by him, although not this one yet, and he has never disappointed. It's a fun read. Easily consumed on a weekend - at least, that's what I did.